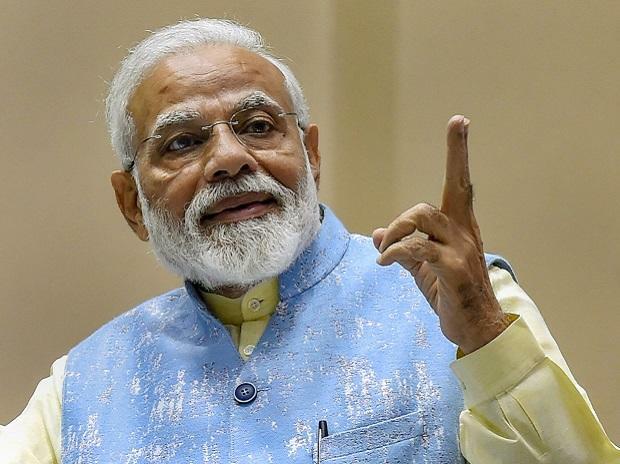 Prime Minister Narendra Modi Tuesday said asking the government to account for its work has now become a trend in the country. He said his government aims to empower the society to conduct more and more social works. "There is a recent trend of people expecting that everything has to be done by the government. They also seek answers from the government for the works that are not done. This was not a tradition in our country," the prime minister said at the 'pran-pratistha' (idol installation) ceremony at the newly-built Annapurna Dham temple in Adalaj town of Gandhinagar district in Gujarat. He said the society earlier used to build dharmshalas (guest houses), gaushala (cow shelters), water ponds and libraries. "All these used to be constructed by the society's strength. Slowly, knowingly or unknowingly, this activity of the society was suppressed and the state took the role of carrying out social work," Modi said. "Our attempt is that the state should do the administrative work, and society should be empowered so that it can carry out such social works beneficial for the people at large," he said after inaugurating the temple set up by Leuva Patels, a sub-caste of the Patidar community. The prime minister said it was the Leuva Patel community, led by Sardar Vallabhbhai Patel, which started the Amul movement and benefited people coming from all castes and classes in the villages of Gujarat. Urging the community members to carry out social works, Modi added, "I will ask you to distribute one plant to each person coming to the temple as 'prasad' and ask him to grow it.